Limited 180 gram vinyl LP pressing including original artwork. 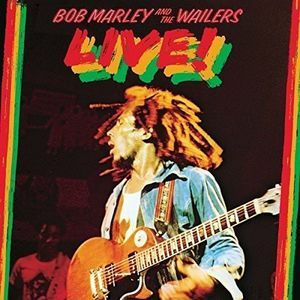 Recorded live at The Lyceum Ballroom in London 1975, during the UK leg of the Natty Dread tour. Passionate and symbiotic energies constantly cycle between the band and audience, the net result of which is one of the most memorable concert recordings of the pop music era. The original artwork includes the fold out poster. Bob Marley was a Jamaican reggae singer, song writer, musician, and guitarist who achieved international fame and acclaim. His music in the 70s established his worldwide reputation and produced his status as one of the world's best-selling artists of all time, with sales of more than 75 million records.